The wind plays tricks on this par 3. You feel it on your back on the tee, but the flag tells you something else. 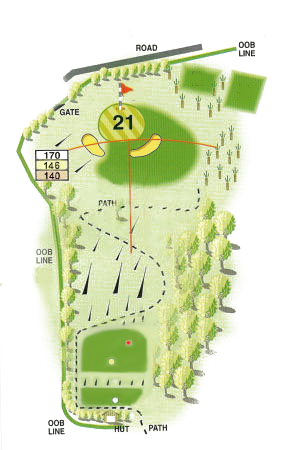 Depending on the wind strength and pin position, you could be playing anything from a nine to a four iron. A shot that is short is likely to end up in a bunker, while the high drifting shot is at the mercy of the thermals and could go anywhere. Hit the green and you'll give yourself a chance of a two." HLI is a leading broker delivering insurance solutions to businesses and individuals throughout the United Kingdom. As part of the CCV group we have access to a wide range of specialist markets and products.